How Far is CDR Ixora? Meticulously planned, priced to suit any buyer and coupled with top amenities, CDR Ixora gives you all that you need to create a new home. 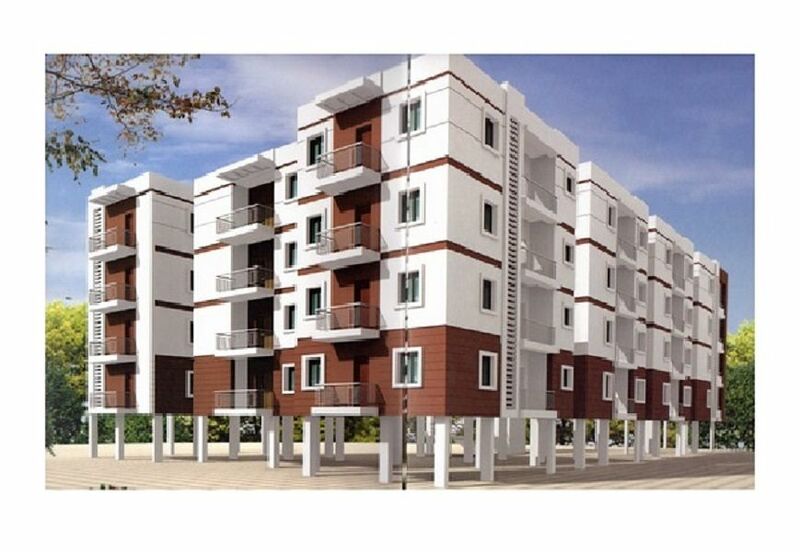 This residential project has 36 units with Stilt + 4 floors. 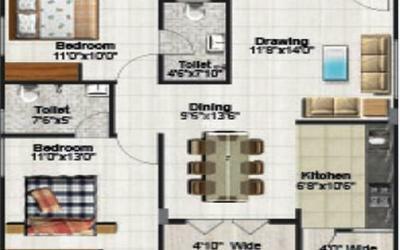 It offers spacious Premium independent 2Bhk and 3 Bhk apartments. Situated at NRI Layout in Bangalore city, it is close to the old madras road and is surrounded with all the daily needs. From Tech parks, Health care, Essentials, Metro Rail and Railway stations for easy commuting and leisure options are found close to the vicinity. Each home at CDR Ixora, is Vaastu complaint and is provided with intercom facilities from flat to flat. Solar heated water is available for each apartment as well. Other amenities such as lift, backup power, security, three phase and corporation/borewell are provided here. Whenever there is a need for celebrations, residents can use the multi-purpose hall and thrill their guests. Gym is also there to keep yourself fit and active. Plus, children can spend their time in the children play area at the same time parents can have a close watch. This residential property features RCC framed structure, well plastered and polished walls, Teak wood main doors and aluminium windows with grills and mosquito mesh. Kitchen in each CDR Ixora home comes with 20 MM granite top, stainless steel sink and glazed tiles dado. Adequate amount of water is supplied through borewell facility. Each apartment is equipped with individual telephone, T.V. points, Internet point and more for added comfort. R.C.C. framed structure with M-20 Grade concrete, Fe 500 Grade TMT steel designed as per relevant BIS codes for earthquake resistance. Porotherm red bricks for external walls, inside 4" concrete blocks. External walls with sponge finish. Teak wood door frame for main door with veneer flush door, and all other door frames are sal wood with flush doors. Aluminium powder coated 3 track windows with safety grills & mosquito mesh. Kitchen platform with 20 MM granite top and stainless steel sink. Glazed tiles dado up to 2' height above platform. Concealed copper wiring with standard make modular switches. Individual telephone, T.V. points and Internet point in living room and master bedroom. Interior: Tractor emulsion over wall for care putty for internal walls, polish for main door, enamel paint for other doors and steel grills. Exterior: Asian Apex paint. Textured/Cladding surfaces in selective places. Adequate usage water supply through bore wells. BWSSB/Cauvery water (drinking water) connection in kitchen only (subject to availability in the area). Kissan flow guard CPVC plumbing system. Automatic 6 passenger lift of standard make. Standby generator for lift, motor pumps and common areas with 1 KVA backup for all flats. Intercom facility in every flat to security cabin, including lifts. Marble/granites/kota flooring for common area and staircase. Anti-skid ceramic tile flooring with glazed tile dado upto 7' height with CP standard fittings for all showers and wall mixer for all bathrooms with EWC of standard make.